Happy Tuesday everyone! Wow! It's been almost a week since I last posted here. Hope all is well with you. Life can get so busy at times and I just had that the past few days. I've been trying to do some de-cluttering at home and it seems endless! LOL!! "Cleanse me with hyssop, and I will be clean; wash me, and I will be whiter than snow. Let me hear joy and gladness, let the bones you have crushed rejoice. Hide your face from my sins and blot out all my iniquity. Create in me a pure heart, O God, and renew a steadfast spirit within me." I have this stamp from Stampabilities since last year but it's only now that it got inked up. I wanted a Vintage clean and simple card, hence I didn't do any colouring and I chose these browny tones. 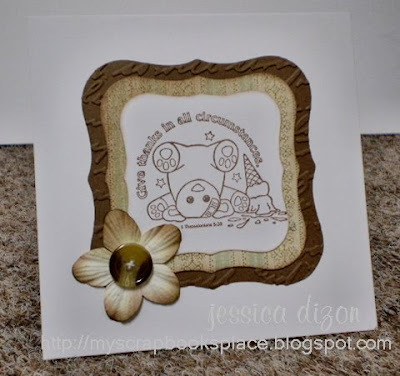 The image was stamped with Versafine Vintage Sepia, cut with Labels One and so were the mats. The dp is from K&Company Charlotte pad and the brown cs was embossed using Cuttlebug Script folder. Finished it off with a lovely flower that I got from Bec months ago and a vintage-coloured button. 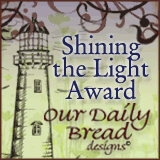 ETA: My SSCC30 challenge card was one of the chosen few to receive the Shining Star Award! YAY!!! Check out my Shining Star Blinkie Award on my side bar. 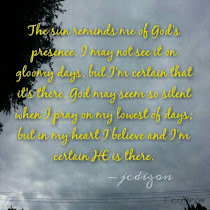 :) Thank you, Lord! Love your CAS card - browns are so rich and the image is sweet (and a good reminder for me, too!) Thanks for sharing with us at SSCC this week. Your card made me smile jhet. Its very cute love the K&Co papers. That's so very pretty, I don't often use brown especially in a CAS card, it looks great! 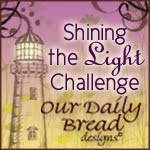 Thanks for participating in the Stampin' Sisters in Christ challenge this week! Cute, Cute, Cute!! Thanks for playing along with us at SSCC.